Deciding to rent your home out to a tenant is not easy. Most landlords are either a member of the military who is facing deployment, a homeowner who cannot sell a house and is thinking about renting it out, or a real estate investor with lots of experience and an entire portfolio of properties. Whatever type of landlord you are, you need expertise to do it right. Marketing your property in the right places. You have to ask yourself if being a landlord is worth your time and other resources. You probably have a full time job already, and a family that you enjoy spending time with. Do you really want to invest the time and energy it takes to manage property correctly? Flat Fee Landlord provides landlords with one of the most comprehensive property evaluations in the industry. Where most companies just “say” they did an inspection, we actually provide our landlords with a full inspection report complete with tons of photographs. Our goal is to provide our landlords with a report so comprehensive that it is as if the landlord actually visited the property themselves. Our Evaluations are completed at the beginning and end of each lease. Additional evaluations are completed approximately every 6 months and further evaluations may be requested by the landlord for an additional expense. In addition to the top independent real estate websites, your home will be eligible to show up on other national franchised brokerage firm’s websites. 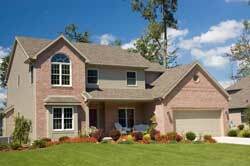 Marketing your home is the first step to finding a well qualified tenant rent your home. We put a lot of time, effort, and money towards marketing your property. The marketing of your home is included in our tenant placement fee. In our opinion, tenant screening is the most important part of the rental process. Anyone can place a tenant into a property; however, what sets us apart is that we have very strict and high standards for placing only the best tenants in our managed properties. This is why our company has an industry leading less than 1% eviction rate ALL-TIME! In addition to having such a low eviction rate, we also have one of the best security deposit return rates in the industry. This means not only do your tenants pay rent on time, but they also do very minimal/if any damage at all to your home while they rent it. 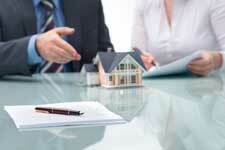 We collect, account for, and hold tenant security deposits in escrow while they are renting your property. We will do an initial evaluation of the property prior to the tenant moving in and then another evaluation of the property after they have moved out. If there is damage above what is legally considered “wear and tear” caused by the tenant upon the check out evaluation we will utilize their security deposit to pay for the repair. Tenants we place are required to provide the full security deposit to us in certified funds prior to gaining access to the property. We have one of the most tight locked leases in the industry. Both the tenant and landlord’s responsibilities and expectations are written out so there is no room for discrepancy or interpretation. This lease was drawn up by our attorneys to account for common issues that arise in the tenant and landlord relationship, specific to our clientele. Landlords get access to our lease when they utilize our tenant placement and property management services. Upon selecting a prospective tenant to rent your home, we will provide and prepare the lease on your behalf!